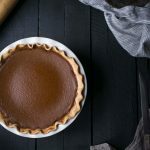 This Brandied Acorn Squash Pie is absolutely perfect for Thanksgiving! Acorn squash is naturally sweeter than pumpkin and works amazingly well in desserts. Several months ago I started taking hot yoga classes. For years I had been turned off by the thought of it, assuming it was something I’d hate. However, it has really grown on me for a number of reasons. For starters, it’s the one class where I don’t feel self conscious. I like to tell people that my body has a very efficient natural cooling system. As in, I sweat very easily. In hot yoga, that’s not a big deal because everyone gets sweaty. More importantly, I actually feel like I understand the purpose of yoga for the first time. It always felt like a nice stretch, but I was never sure if I was getting much out of it, especially for the price. Hot yoga lets me get deep into poses, and it definitely helps my body overall. It has made me more flexible, and I can see physical changes happening. It was what I needed to hear. I get overwhelmed easily. The past year overwhelmed me, and I get very anxious about what lies ahead. Sometimes I need a reminder to focus on being in the moment. If you don’t want to purchase pumpkin pie spice, you can make your own! Add flour, butter and salt into a food processor. Pulse the machine on and off until the mixture is crumbly. With the machine running, slowly add the water until just combined (do not over-mix). Wrap the dough in plastic wrap and press flat into a disc. Chill for at least 2 hours or overnight. Allow the dough the rest at room temperature for 5 minutes. On a lightly floured surface, roll the dough to approximately 1/4-inch thin. Carefully place the dough into a shallow 9x2-inch pie pan. Place the pan back in the refrigerator and chill for 30 minutes. Preheat the oven to 400 degrees F. Place the tart pan on a baking sheet. Use a fork to poke holes throughout the bottom of the dough to prevent air bubbles from forming. Line the pie pan with foil and cover with uncooked beans. Bake the dough for 20 minutes, removing the beans and foil for the last 5 minutes. Allow to cool while preparing the other ingredients. Using a very sharp knife, slice the acorn squash in half. Scoop out and discard the seeds and membranes. Spread the softened butter generously onto the inside of the squash. Place the acorn squash cut-side down on the prepared sheet and roast at 400 degrees F until soft, approximately 50 minutes. Once the squash is cool enough to be handled, scoop the pulp into a food processor and puree, discarding the skins. Reserve 2 cups of puree for the pie. In a large bowl, vigorously whisk together the eggs until frothy. Whisk in the brown sugar until smooth, followed by the salt, pumpkin pie spice, acorn squash puree, half & half, and brandy. Place the prepared pie crust on a baking sheet. Pour the filling into the crust and bake until the inside is just barely jiggling, 50-60 minutes. Allow to cool completely before serving. This pie – I love the flavor profile! I am sometimes very good about living in the moment and other times not. I love to spend a few minutes looking out the window or listening to birds sing or enjoying a walk. The kinds of things people rarely do. On the other hand, I spend a lot of time wishing my life away, waiting to get through this or that, waiting for things to work out and get better. It’s a difficult cycle. Exercise definitely helps me with that. Though it might be hard to believe, even for me, I used to be far more anxious before I exercised. Baking helps too. Love that you used acorn squash – I don’t think I’ve ever seen anyone bake with it. Baking and exercise are very helpful for anxiety! So is Xanax, hehehe. I love baking with acorn squash. I use it much more than any other squash since the skin is edible. I have never wanted pie so badly in my life. Gorgeous! Well, I took bikram yoga for a few months in SF . . and our instructor never read passages like that!! I love that. Living in the present and taking it one moment at a time. that is truth! love that you made an acorn squash pie!! Acorn squash doesn’t get enough love! Love this flavor! Sounds so perfect for Thanksgiving! Thank you so much, Tieghan! My problem is living in the past, and reviewing everything I’ve done wrong, or things I wish I’d done differently. I also fret sometimes that what I’m doing now is somehow screwing up my child but I won’t know that until he’s an adult and tells his therapist all about it! 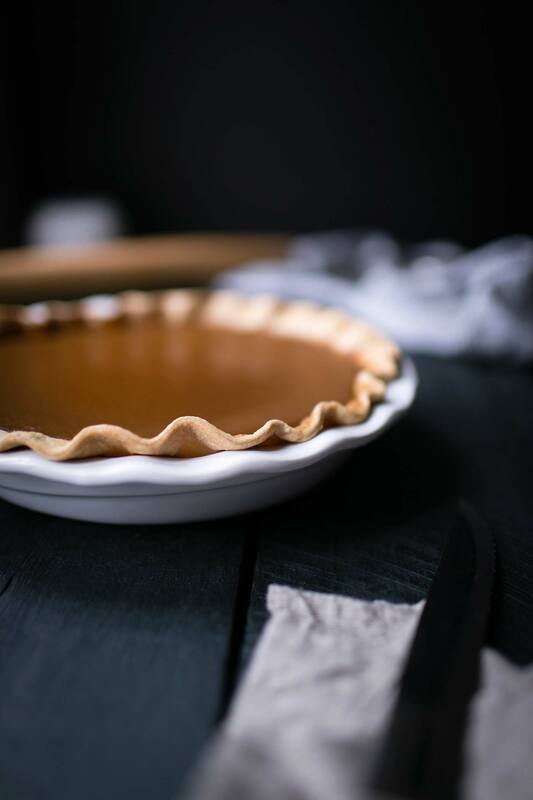 I’ve never seen acorn squash used in a sweet dish before–That pie is gorgeous!! Yeah, I have a bad habit of living in the past as well. My 20 year high school reunion is coming up and that was such a bad time I’m a little petrified to go. Not sure yet. Thanks for the kind words! Mine was last year, and it didn’t work for me to go–I was already traveling the week before and the week after, and I realized after the fact that I don’t feel like I missed out on much of anything. I still talk to the friends I kept after high school (it was also a mess for me), and I’m not really sad about missing an evening with people I still have nothing in common with! Best of luck if you do choose to go. Hmm, maybe I should give hot yoga another chance. I also get overwhelmed easily. Jogging is doing a lot of good for me now, but as it gets colder it will lose its appeal and hot yoga will likely sound better and better. This pie looks fabulous! I’m not a huge fan of pumpkin pie and bet I’d like this much better. Jogging is one thing I have never been able to get into. I tried! Either my stamina goes or my knees do. 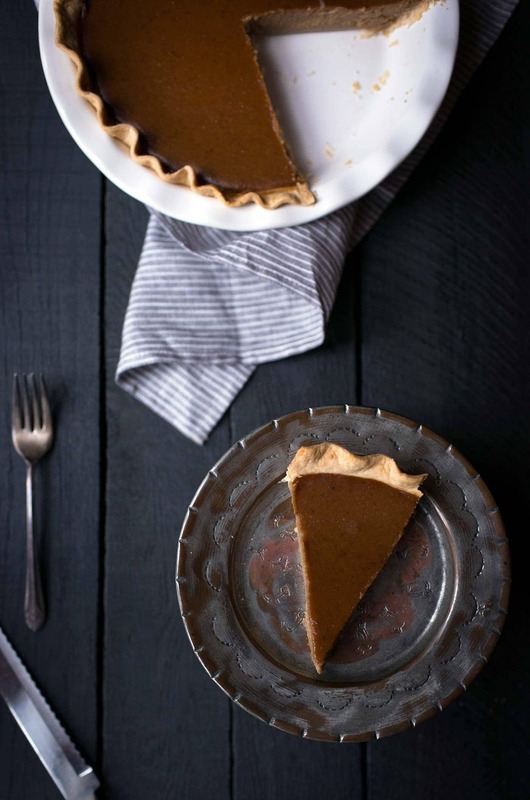 Yes please to a brandied pie, what a fabulous twist on ubiquitous pumpkin! I made a bourbon maple acorn squash and it hands down kicked the can out of my usual pumpkin pie!! I’m firmly in camp acorn squash pie!! This is beautiful! Such a creative use of acorn squash – I LOVE it! I’ve never heard of this before but what a great alternative to the standard pumpkin pie! Definitely going on my list to try! Using acorn squash in pie is SO brilliant! !